Kwanzaa is a week-long celebration held in the United States and also celebrated in the Western African Diaspora in other nations of the Americas. The celebration honors African heritage in African-American culture, and is observed from December 26 to January 1, culminating in a feast and gift-giving. Kwanzaa has seven core principles (Nguzo Saba). Maulana Karenga created Kwanzaa in 1966 as the first specifically African-American holiday Karenga said his goal was to “give Blacks an alternative to the existing holiday and give Blacks an opportunity to celebrate themselves and their history, rather than simply imitate the practice of the dominant society.” The name Kwanzaa derives from the Swahili phrase matunda ya kwanza, meaning “first fruits of the harvest”. The choice of Swahili, an East African language, reflects its status as a symbol of Pan-Africanism, especially in the 1960s, although most East African nations were not involved in the Atlantic slave trade that brought African people to America Kwanzaa was a celebration that has its roots in the black nationalist movement of the 1960s, and was established as a means to help African Americans reconnect with their African cultural and historical heritage by uniting in meditation and study of African traditions and Nguzu Saba, the “seven principles of African Heritage” which Karenga said “is a communitarian African philosophy”. *Kawaida, a Swahili term for tradition and reason. *Umoja (Unity): To strive for and to maintain unity in the family, community, nation, and race. *Ujima (Collective Work and Responsibility): To build and maintain our community together and make our brothers’ and sisters’ problems our problems, and to solve them together. *Ujamaa (Cooperative Economics): To build and maintain our own stores, shops, and other businesses and to profit from them together. *Nia (Purpose): To make our collective vocation the building and developing of our community in order to restore our people to their traditional greatness. *Kuumba (Creativity): To do always as much as we can, in the way we can, in order to leave our community more beautiful and beneficial than we inherited it. *lmani (Faith): To believe with all our hearts in our people, our parents, our teachers, our leaders, and the righteousness and victory of our struggle. Contrary to popular belief Boxing Day is not a day when you get drunk and have a Punch-up with your relatives, rather it is a secular holiday that is traditionally celebrated on 26 December, the day after Christmas Day, which is also St. Stephen’s Day, a religious holiday. When 26 December falls on a Sunday, Boxing Day in many Commonwealth countries and former British dominions is moved to 27 December. In the UK, Boxing Day is a bank holiday. If Boxing Day falls on a Saturday, the following Monday is given as a substitute bank holiday. On the occasion when Christmas Day is on a Saturday – with Boxing Day on the Sunday – the following Monday (27) and Tuesday (28) of December both become bank holidays.In Scotland, Boxing Day has been specified as an additional bank holiday since 1974, by Royal Proclamation under the Banking and Financial Dealings Act 1971. In Ireland – when the island as a whole was part of the United Kingdom – the Bank Holidays Act 1871 established the feast day of St. Stephen as a non-movable public holiday on 26 December. .Also, it may come from a custom in the late Roman/ early Christian era, wherein metal boxes placed outside churches were used to collect special offerings tied to the Feast of Saint Stephen, which in the Western Church falls on the same day as Boxing Day. In Britain, it was a custom for tradesmen to collect “Christmas boxes” of money or presents on the first weekday after Christmas as thanks for good service throughout the year.This is mentioned in Samuel Pepys’ diary entry for 19 December 1663. This custom is linked to an older English tradition: since they would have to wait on their masters on Christmas Day, the servants of the wealthy were allowed the next day to visit their families. The employers would give each servant a box to take home containing gifts and bonuses, and sometimes leftover food. James Brown, the late, great singer, songwriter, producer and Godfather of Soul, sadly passed away December 25 2006. Born May 3rd, 1933 in Barnwell, South Carolina. He was Raised mainly in Augusta, Georgia, by his great-aunt, who took him in at about the age of five after his parents divorced. Growing up in the segregated South during the Great Depression of the 1930s, Brown had a really impoverished upbringing and this probably explained his later penchant for wearing ermine coats, velour jumpsuits, elaborate capes, and conspicuous gold jewellry. Neighbours taught him how to play drums, piano, and guitar, and he learned about gospel music in churches and at tent revivals, where preachers would scream, yell, stomp their feet, and fall to their knees during sermons to provoke responses from the congregation. Brown sang for his classmates and competed in local talent shows .At age 15 Brown was sentenced to 8 to 16 years in prison after being arrested for breaking into cars but was released after 3 years for good behaviour. In the 1970s Brown became “the Godfather of Soul,” and his hit songs stimulated several dance crazes and were featured on the sound tracks of a number of “blaxploitation” films. When hip-hop emerged as a viable commercial music in the 1980s, Brown’s songs again assumed centre stage as hip-hop disc jockeys frequently incorporated samples from his records. He also appeared in several motion pictures, including The Blues Brothers and Rocky IV, and attained global status as a celebrity, especially in Africa,where his tours attracted enormous crowds and generated a broad range of new musical fusions. Brown’s uncanny ability to sing soulful slow ballads as well as electrifying up-tempo tunes, often blending blues, gospel, jazz, and country vocal styles together, made him one of the most influential vocalists of the 20th century. His extraordinary dance routines featuring acrobatic leaps, full-impact knee landings, complex rhythmic patterns, dazzling footwork, dramatic entrances, and melodramatic exits redefined public performance within popular music and inspired generations of imitators. Many musicians associated with him such as Jimmy Nolan, Bootsy Collins, Fred Wesley, and Maceo Parker have also played an important role in funk music. As such a prolific singer, songwriter and bandleader he became one of the most iconic important and influential figures in funk and soul music from 1956-2006. This remarkable achievements earned him the sobriquet “the Hardest-Working Man in Show Business” and helped him become one of the most popular entertainers in 20th-century popular music. Among his most popular songs are “It’s A Man’s World” “Try Me” “Night Train” “Please, Please, Please” “Papa’s Got a Brand New Bag” “I Got You (I Feel Good)” “Cold Sweat ” “Say It Loud—I’m Black and I’m Proud” “Get on Up” and “Super Bad. in 1986 Brown was inducted into the Rock and Roll Hall of Fame for his outstanding contribution to the world of Funk and Soul Music, he made such an outstanding contribution to the world of Funk and Soul Music that his legacy will live on. English physicist and mathematician Sir Isaac Newton FRS was born 25 December 1642. He is widely recognised as one of the most influential scientists of all time and a key figure in the scientific revolution. His book Philosophiæ Naturalis Principia Mathematica (“Mathematical Principles of Natural Philosophy”), first published in 1687, laid the foundations for classical mechanics. Newton made seminal contributions to optics, and he shares credit with Gottfried Wilhelm Leibniz for the development of calculus. Newton’s Principia formulated the laws of motion and universal gravitation, which dominated scientists’ view of the physical universe for the next three centuries. By deriving Kepler’s laws of planetary motion from his mathematical description of gravity, and then using the same principles to account for the trajectories of comets, the tides, the precession of the equinoxes, and other phenomena, Newton removed the last doubts about the validity of the heliocentric model of the Solar System. This work also demonstrated that the motion of objects on Earth and of celestial bodies could be described by the same principles. His prediction that Earth should be shaped as an oblate spheroid was later vindicated by the measurements of Maupertuis, La Condamine, and others, which helped convince most Continental European scientists of the superiority of Newtonian mechanics over the earlier system of Descartes. Newton built the first practical reflecting telescope and developed a theory of colour based on the observation that a prism decomposes white light into the many colours of the visible spectrum. He formulated an empirical law of cooling, studied the speed of sound, and introduced the notion of a Newtonian fluid. In addition to his work on calculus, as a mathematician Newton contributed to the study of power series, generalised the binomial theorem to non-integer exponents, developed a method for approximating the roots of a function, and classified most of the cubic plane curves. Newton was a fellow of Trinity College and the second Lucasian Professor of Mathematics at the University of Cambridge. He was a devout but unorthodox Christian, and, unusually for a member of the Cambridge faculty of the day, he refused to take holy orders in the Church of England, perhaps because he privately rejected the doctrine of the Trinity. Beyond his work on the mathematical sciences, Newton dedicated much of his time to the study of biblical chronology and alchemy, but most of his work in those areas remained unpublished until long after his death. In his later life, Newton became president of the Royal Society. Newton served the British government as Warden and Master of the Royal Mint. Sir Isaac Newton tragically died 20 March 1726. Christmas or Christmas Day (Old English: Crīstesmæsse, meaning “Christ’s Mass”) is an annual festival commemorating the birth of Jesus Christ,observed most commonly on December 25 as a religious and cultural celebration among billions of people around the world.A feast central to the Christian liturgical year, it is prepared for by the season of Advent or the Nativity Fast and initiates the season of Christmastide, which historically in the West lasts twelve days and culminates on Twelfth Night;in some traditions, Christmastide includes an Octave. The traditional Christmas narrative, the Nativity of Jesus, delineated in the New Testament says that Jesus was born in Bethlehem, in accordance with messianic prophecies; when Joseph and Mary arrived in the city, the inn had no room and so they were offered a stable where the Christ Child was soon born, with angels proclaiming this news to shepherds who then disseminated the message furthermore. Christmas Day is a public holiday in many of the world’s nations, is celebrated religiously by the vast majority of Christians, as well as culturally by a number of non-Christian people, and is an integral part of the holiday season, while some Christian groups reject the celebration. In several countries, celebrating Christmas Eve on December 24 has the main focus rather than December 25, with gift-giving and sharing a traditional meal with the family. Although the month and date of Jesus’ birth are unknown, by the early-to-mid 4th century the Western Christian Church had placed Christmas on December 25, a date which was later adopted in the East. 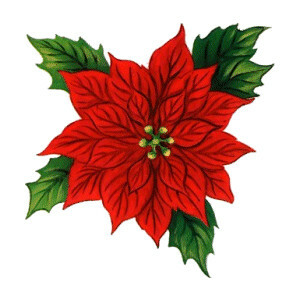 most Christians celebrate on December 25 in the Gregorian calendar, which has been adopted almost universally in the civil calendars used in countries throughout the world. However, some Eastern Christian Churches celebrate Christmas on the December 25 of the older Julian calendar, which currently corresponds to January 7 in the Gregorian calendar, the day after the Western Christian Church celebrates the Epiphany. This is not a disagreement over the date of Christmas as such, but rather a preference of which calendar should be used to determine the day that is December 25. In the Council of Tours of 567, the Church, with its desire to be universal, “declared the twelve days between Christmas and Epiphany to be one unified festal cycle”, thus giving significance to both the Western and Eastern dates of Christmas.Moreover, for Christians, the belief that God came into the world in the form of man to atone for the sins of humanity, rather than the exact birth date, is considered to be the primary purpose in celebrating Christmas. Although it is not known why December 25 became a date of celebration, there are several factors that may have influenced the choice. December 25 was the date the Romans marked as the winter solstice, and Jesus was identified with the Sun based on an Old Testament verse. The date is exactly nine months following Annunciation, when the conception of Jesus is celebrated.Finally, the Romans had a series of pagan festivals near the end of the year, so Christmas may have been scheduled at this time to appropriate, or compete with, one or more of these festivals. The celebratory customs associated in various countries with Christmas have a mix of pre-Christian, Christian, and secular themes and origins. Popular modern customs of the holiday include gift giving, completing an Advent calendar or Advent wreath, Christmas music and caroling, lighting a Christingle, an exchange of Christmas cards, church services, a special meal, and the display of various Christmas decorations, including Christmas trees, Christmas lights, nativity scenes, garlands, wreaths, mistletoe, and holly. In addition, several closely related and often interchangeable figures, known as Santa Claus, Father Christmas, Saint Nicholas, and Christkind, are associated with bringing gifts to children during the Christmas season and have their own body of traditions and lore. Because gift-giving and many other aspects of the Christmas festival involve heightened economic activity, the holiday has become a significant event and a key sales period for retailers and businesses. The economic impact of Christmas has grown steadily over the past few centuries in many regions of the world. 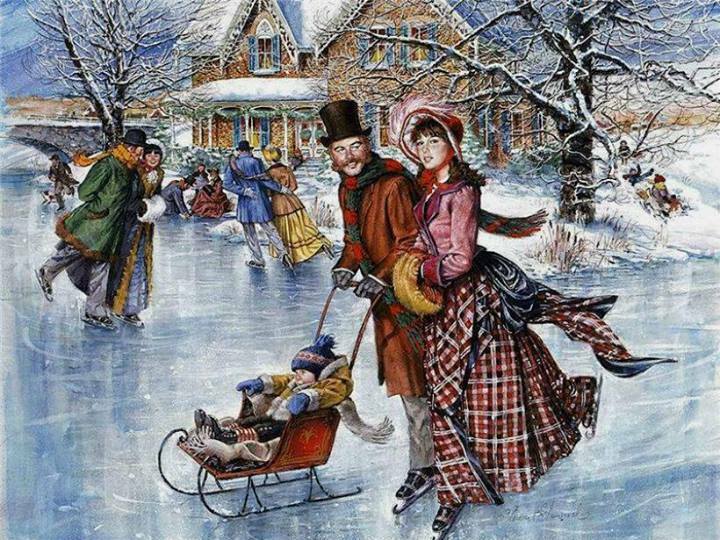 In addition to “Christmas”, the holiday has been known by various other names throughout its history. The Anglo-Saxons referred to the feast as “midwinter”, or, more rarely, as Nātiuiteð (from Latin nātīvitās below).”Nativity”, meaning “birth”, is from Latin nātīvitās. In Old English, Gēola (Yule) referred to the period corresponding to December and January, which was eventually equated with Christian Christmas.”Noel” (or “Nowel”) entered English in the late 14th century and is from the Old French noël or naël, itself ultimately from the Latin nātālis (diēs), “birth (day)”. The canonical gospels of Luke and Matthew both describe Jesus as being born in Bethlehem in Judea, to a virgin mother. In the Gospel of Luke account, Joseph and Mary travel from Nazareth to Bethlehem for the census, and Jesus is born there and laid in a manger. 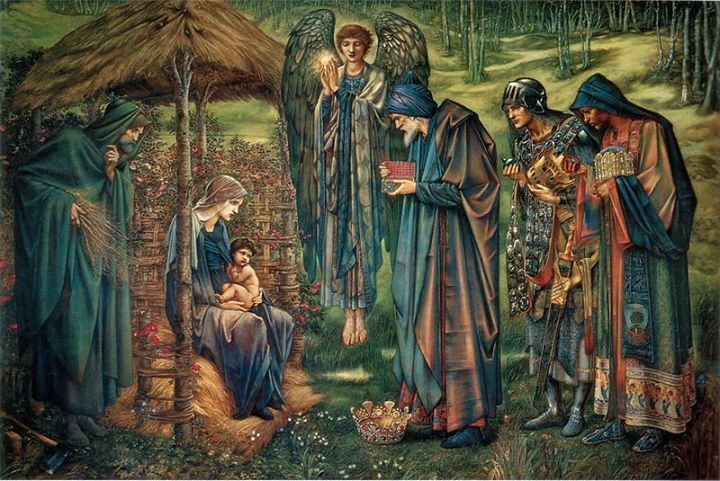 It says that angels proclaimed him a savior for all people, and shepherds came to adore him. In the Matthew account, magi follow a star to Bethlehem to bring gifts to Jesus, born the king of the Jews. King Herod orders the massacre of all the boys less than two years old in Bethlehem, but the family flees to Egypt and later settles in Nazareth. The earliest known Christian festivals celebrated Jewish holidays, especially Passover, according to the local calendar. These are referred to as “Quartodecmials” because Passover is dated as 14 Nisan on the Jewish calendar. All the major events of the life of Jesus were celebrated in this festival, including his conception, birth, and passion. In the Greek-speaking areas of the Roman Empire, the Macedonian calendar was used. In these areas, the Quartodecimal was celebrated on April 6. In Latin-speaking areas, the Quartodecimal was March 25. The significance of the Quartodecimal declined after 165, when Pope Soter moved celebration of the Resurrection to a Sunday, thereby creating Easter. This put celebration of the passion on Good Friday, and thus moved it away from the Quartodecimal. The Christian ecclesiastical calendar contains many remnants of pre-Christian festivals. Although the dating as December 25 predates pagan influence, the later development of Christmas as a festival includes elements of the Roman feast of the Saturnalia and the birthday of Mithra as described in the Roman cult of Mithraism. Such solar symbolism could support more than one date of birth. An anonymous work known as De Pascha Computus (243) linked the idea that creation began at the spring equinox, on March 25, with the conception or birth (the word nascor can mean either) of Jesus on March 28, the day of the creation of the sun in the Genesis account. One translation reads: “O the splendid and divine providence of the Lord, that on that day, the very day, on which the sun was made, the 28 March, a Wednesday, Christ should be born. For this reason Malachi the prophet, speaking about him to the people, fittingly said, ‘Unto you shall the sun of righteousness arise, and healing is in his wings.'”. In the 17th century, Isaac Newton argued that the date of Christmas was selected to correspond with the solstice.